J. Willard Thompson. Photo by Equi-Photo. 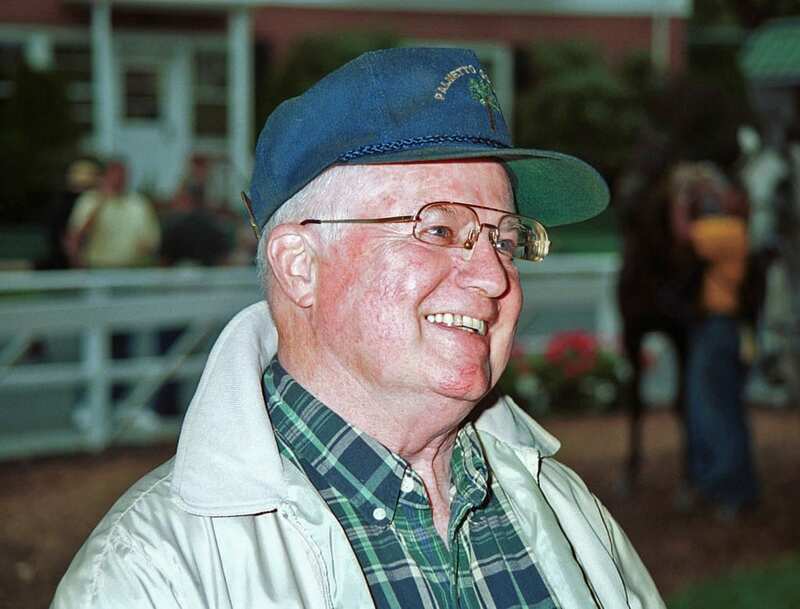 Trainer J. Willard Thompson, a Monmouth Park mainstay for more than 50 years, passed away Saturday night after a lengthy illness. He was 83. Born in Atlanta, Ga. in 1935 Thompson got his start in racing as a steeplechase rider before switching to training in the early 1960s. He dominated the New Jersey racing scene in the 1970s, winning three consecutive training titles at Monmouth Park from 1975-1977 and two at the Meadowlands. After a more than 20-year hiatus, Thompson again captured the 2001 Monmouth title and saw record earnings that year of nearly $1.6 million for his runners, many of whom raced in the colors of Thompson’s Quiet Winter Farm. Some his most recent stakes winners included Jenny Bean Girl in the 2007 Jersey Girl Handicap and Pinot Grigio, who took the 2014 Open Mind Handicap. In 1996, Monmouth Park inaugurated the Virgil “Buddy” Raines Distinguished Achievement Award, honoring men and women who have demonstrated a continuing commitment to the sport of Thoroughbred racing and whose conduct has been exemplary for professionalism, integrity and service to the sport. Thompson was the first recipient of this highly-regarded honor. From 17,863 starters, Thompson won 2,137 races, good for earnings of $30.5 million. With his longtime assistant, Sergio “Victor” Rabadan, Thompson’s most recent starter as a trainer was Snowday on Oct. 26 at Laurel and the most recent starter for his Quiet Winter Farm was Arnold Ziffle, who finished third at Laurel just a few hours before Thompson’s passing. Thompson was predeceased by his wife Carol, an accomplished equestrian, in 2013. He is survived by his sons Glenn and Stewart, his daughter Julia and nine grandchildren: Julia, Parker, McKenzie, Wyatt, Mizuki, Taylor, Landon, Shelby and Bradyn. A celebration of his life will be held next spring to coincide with the opening of Monmouth Park’s 2019 racing season.